Tag Archives for " backyard "
I enjoy utilising extra outdoor spaces at home for two reasons. First, the little one gets to have so much fun. Second, it gives us more reasons to make him avoid TV and gadgets thus limiting his screen time. 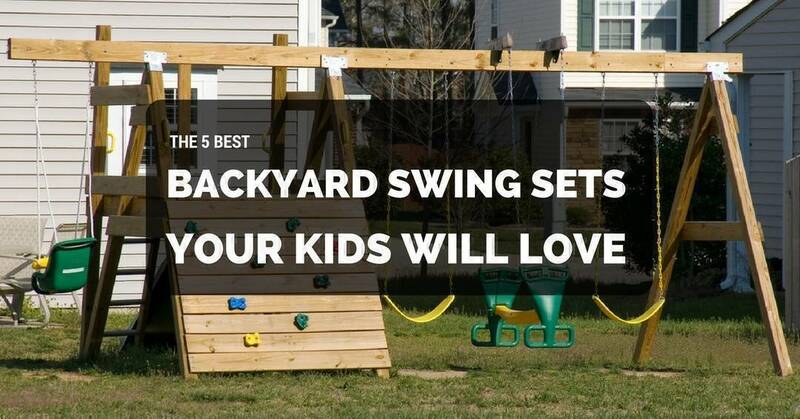 One of the things I tried looking into includes the be﻿﻿st ba﻿ckyard swing s﻿ets. Whether it’s for 1-year old or for 2-year old, 7-year old, 8-year old kids; there’s always something for everyone. Later on, I will discuss the importance of choosing a set that’s appropriate for your child’s age. It’s not the same for toddlers and older children although there are products which your tot can grow into. Depending on your budget, there’s also a wide variety that could cater to your personal preference – it could be under $200, under $600 or under $1000. Of course the more expensive it gets, the more features it has. Also, there are small sets suitable for small yards.